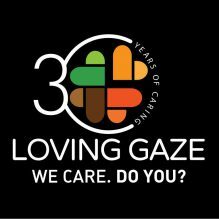 Loving Gaze reached 900 children of 5 different primary and secondary schools in Lagos. The importance of dental hygiene and oral health routing is underestimated; too often we see our schools’ children and St Kizito Clinics’ young patients suffering because of lack of dental care. For this reason this year, for the first time, we launched the “Give kids a Smile” initiative aimed at promoting dental hygiene among children and vulnerable communities of Lagos. The sooner we can inspire kids to take care of their mouths —and make it engaging and fun—the better their oral health will be in the long-term. The key is to teach good oral care habits in a fun and engaging way so that the lessons become unforgettable. Thanks to Procter & Gamble for supporting the free children dental health care outreach programme donating Oral B tooth brushes and tooth pastes for all the young patients we visited. Know more about Oral B in Nigeria. Dr Alessandra Del Governatore, Italian Dentist with over 20 years of experience, visited St Kizito Clinic as volunteer, and helped run the program. At the end of the program, she highlighted that the dental situation of the children and adults is pretty good in 70% of the patients screened (missing teeth and cavities). The oral hygiene is still lacking, the daily oral care with the usage of the tooth brush and tooth paste is not common yet, neither among children or adults. Also, it is necessary to promote a proper nutrition for the development of a good dental structure, among children and pregnant women. Between 8th and 24th February 2017. 2. Distribution of the Activity Sheets that provide games around oral health which the children can play with while they wait for the examination. 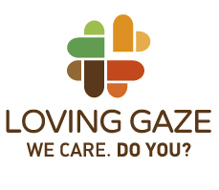 Dr Alessandra Del Governatore, an Italian dentist, with over 20-year experience, visiting Loving Gaze as a volunteer. The program was FREE of charge. We look forward to keep helping all our children grow healthy and happy smiles.